and continued to serve in the Inns of Court and City Yeomanry, eventually completing 20 years in military uniform, as a regular and reservist. 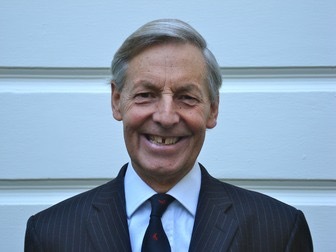 He was appointed to Her Majesty’s Commission of Lieutenancy for the City of London in 2014, and as the Honorary Colonel of the Inns of Court & City Yeomanry in 2016. Served Sheriff 2012-2013 in the Mayoralty of Sir Roger Gifford, at the Old Bailey together with his fellow sheriff Alderman Jeffrey Evans (subsequently Lord Mountevans). Hence now joint vice president of the "Great 13" past masters association. Master 2010 - 2011, having been apprenticed in 1964, admitted a freeman in 1969, and a liveryman in 1975.�Long serving governor of the Leathersellers’�school (until 2016), Colfe's, in Lewisham. Elected Honorary liverymen on retirement as Clerk. Elected member in 2006, Chairman 2013-2016, and was responsible for all the courses and briefings designed for Masters, Wardens, Liverymen and Clerks. In recent years, played an active role in the elections of sheriffs, before becoming one himself 2012-2013. Now retired from full-time employment, involved with a number of City and charitable activities, including Clerk to the City & Metropolitan Welfare Charity and Patron of the Benefice of a parish in the Diocese of Bath & Wells. Life Governor of the Sons of the Clergy, and long serving Steward of the same charity. Chairman Colfe's Charitable Trust (ret’d 2018). For 20 years lead opera groups to European festivals, and is a long time supporter (Envoy)�of Opera Holland Park. Lives in London. His journalist daughter, Laura, became a liveryman by patrimony of the Leathersellers' in 2011. For a more informal take on Nigel Pullman's life, his daughter's description was reported in the Daily Telegraph�in October 2013. A pdf narrative of the above may be downloaded here.